Opposition candidate Martin Fayulu's campaign team accused the government of ordering the shut down to avoid broadcasting his "overwhelming victory" in Sunday's poll. President Joseph Kabila is stepping down after 17 years in office. He has promised DR Congo's first orderly transfer of power since it gained independence from Belgium in 1960. 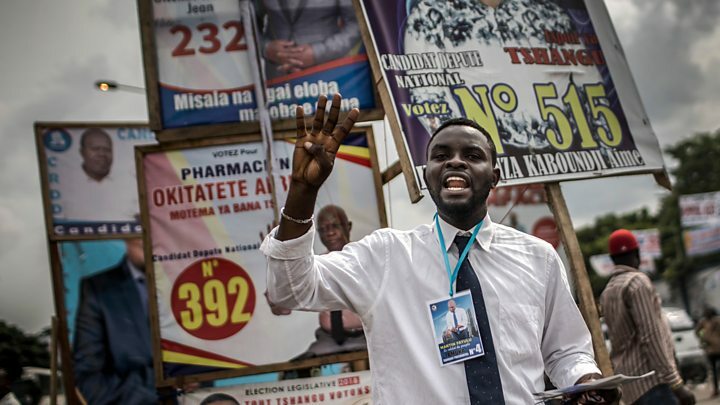 Mr Kabila is backing his former interior minister Emmanuel Ramazani Shadary, who is the ruling party's candidate. 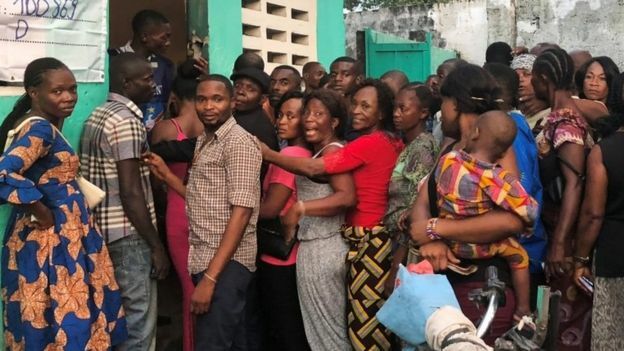 The Roman Catholic Church's observer team reported more than 100 cases of election monitors being denied access to polling stations. In a BBC interview Mr Fayulu accused the military of "pushing" voters in some areas to cast their ballots for Mr Shadary. 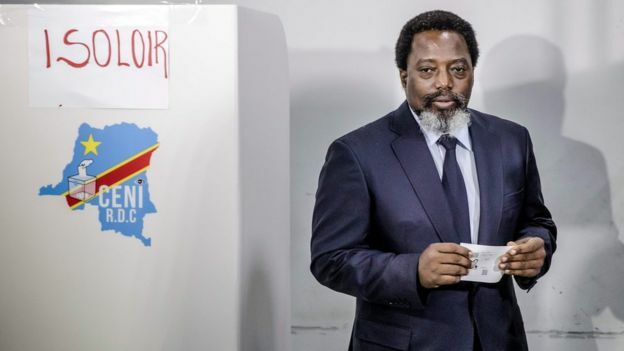 Mr Tshisekedi accused Mr Kabila's government of creating a "mess" on election day in order to trigger legal challenges that would help the president remain in power. Mr Shadary told the BBC that he had won the poll because "I'm the only one who's been campaigning in each of the 25 provinces of the country".